Hey hey heyyyyyy, its me Barkley here, yup the one and only crazy dude looking for my fur ever home. Now I need someone who is going to be around most of the time as I'm a bit of a work in progress. I need help man, I do, I do. I have spent my time doing my own thing and need a bit of pointing in the right direction with my training. Don't get me wrong, I am very good with other dogs, cats and kids...as long as they are all sensible. I love my walks but I still need a little help with my toilet training but I am very eager to please so can learn fast. I am big boy for my age but I am a loveable pup inside but like a lot of pups we forget ourselves occasionally and can get ourselves into trouble. I do try, I walk around all day saying "I must not steal, I must not chew" and then BOOM its in my mouth and I'm like how the heck did that get there? Then the eyes are looking around in case I've been rumbled, and yes I have...then we get the "Ohhhh Barkley what did you do?" I can really do the innocent look to perfection and you won't be mad at me cuz I'll give you a big sloppy kiss and you will forgive me and we will work on that bit of my training some more. Maybe crate training too would help, I dunno, you would be the brains behind this operation and I will just do the best I can lol. Hi guys, my name is Mac and I am looking for a pawticular home. I need an active home with someone who likes excersise like me. I love my walks, mooching in hedgerows and meeting other dogs while I'm out and about. I do need a little help on my toilet training as its a bit hit and miss at the moment but if you haven't been taught then what can a pupsie do, but a whoopsie every now and again huh? I dont like being left too long.. I gets lonely without you here, so if you have to pop out do me a favour and make it quick so I can shower you with adoration on your return. I'm a right cuddle bum so evenings on the sofa is a given with lots of snuggles and wet nose kisses a few treats and a slushy movie as long as its with you. As I said I get on great with dogs, small hoomans are a no-no as I get this really bad urge to nibble their feet...well they always movin and dancing around arn't they? A pups gotta chase it if its moving! Buster will be up for homing shortly ..... At the moment he is undergoing veterinary treatment. He has been neutered and has had an operation on his soft pallet and is recovering well. 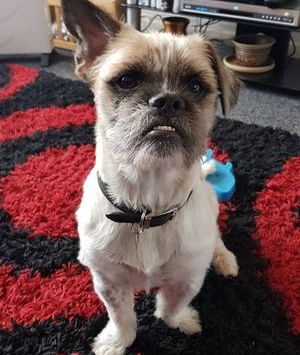 PLEASE DO NOT APPLY YET, his adoption post will go on as soon as hes been discharged by the vets. GUYS! GUYS!....ooops who put that there? GUYYYYYSSS! Heyyyy I'm Max and I am looking for my furever home, could it be you???? I is a lovely out going pup who haz crazy half hours and then likes nothing more than to curl up on your lap for luvz n cuddles. I am ok with other dogs and would probs like one for play times. I would needs someone who is about a lot as I'm well good at the pee pee thing outside but needs a bit more practice as I sometimes forgets if I have been asleep or I'm doin zoomies and having fun...hey I can do them puppy pad fings. I luvs my walks as I can strut my stuff and I am sure I is the coolest dude on the block. Teddies and toys I must have cuz I will play fetch all day and it keeps me occupied yup I do luvs to play. 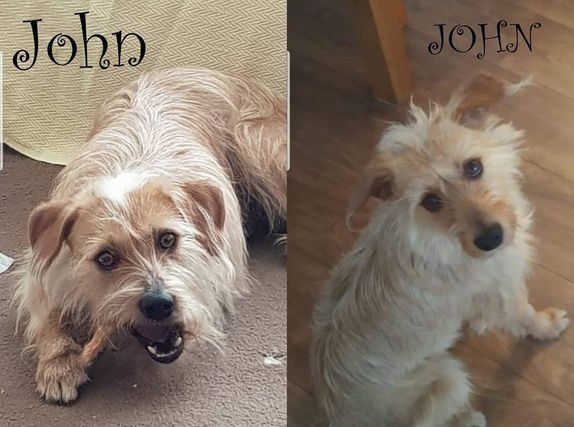 Hey guys, my name is John and I am looking for my furever home. 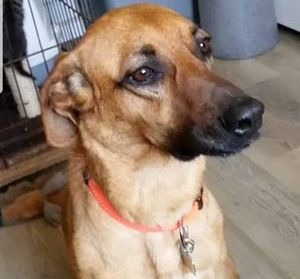 I am a right cuddle bum once I get to know you but I am a little shy when I first meet people and for this reason if you fall for these rugged good looks, you must be willing to come and do some meet and greets and spend some time with me in my foster home so I can get used to you. Once i'm settled you will see a whole new side. 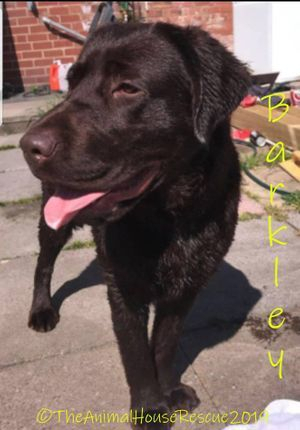 I love to play and I love my walks but i still pull a bit so I need some work on that and a bit on my house training, now don't get me wrong , I'm not a leaky pee machine but I lived outside before rescue and I have been working hard on my toilet training, my foster mum puts me out often and I do go to the door to let you know its wee wee time, so while I'm working on that you will be working on recognising the signs of me wanting out, because of this I need someone around most of the time and also I don't like to be left for long. I really would like to go to training classes as I think this would help me with my lead work and with my socialisation. 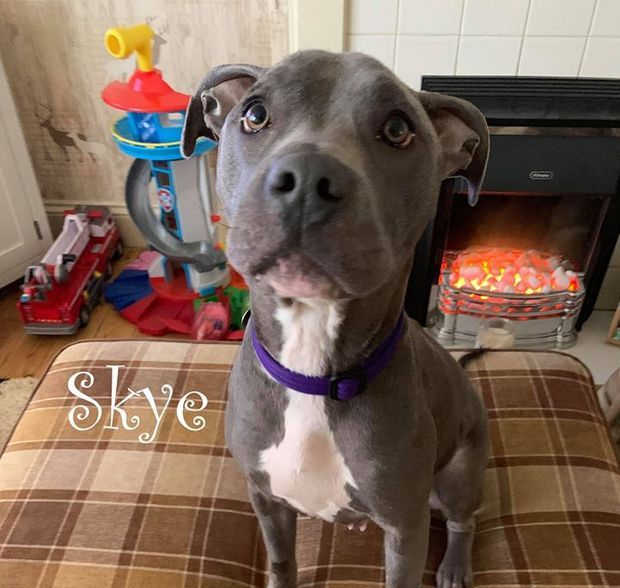 Hi guys my name is Skye and I and looking for my furever home. I am a beautiful girl now I have recovered from my ordeal and now I need someone to help me reach my full potential. If you remember I came in starved, emaciated and very sick. Everyone sent me healing thoughts and I held on to that while I was fighting to get better. Well here I am all better and raring and ready to go. I need a home with people experienced with bull breeds. 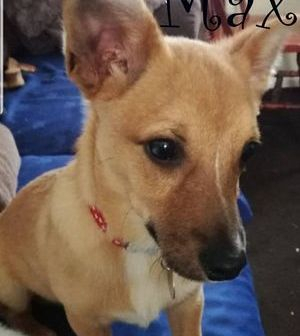 I am almost there with my toilet training but still have the odd accident as I'm scared if I go out I wont be let back in but with encouragement I can do it. I can go with a resident dog as long as introduced properly and it is of a similar size as now I'm better I have found my bounce but I do have a hang up about white dogs! and I do not like cats but I love kids and would be ok with children over 5yrs. I have good recall at the park and I love chasing a ball but would need to stay on a long lead in case we spotted a white dog, I missed all my puppy training so don't know how to introduce myself properly when loose, of course I am willing to learn. I just need someone with time and patience to teach me all the things I should have learned ages ago. I am willing to put the work in but my new family must be willing to put the work in too. I have soooo much to still learn. 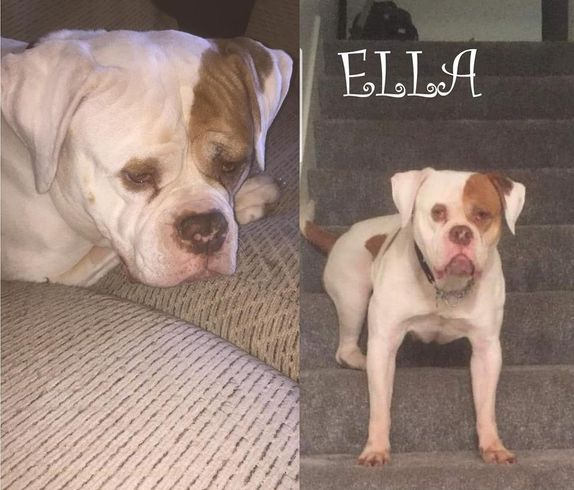 Hi, my name is Ella and I am looking for a special person to call my own. I need a home that is quiet and with people who get where I am coming from and what I need in my life. I went to a quiet foster home and there I learned that not all people were bad. I wouldn't even leave the house at all but I got taught that I could feel safe on a lead and I got loves and cuddles and lots of being told I was a good and clever girl. I began to love the garden and I actually went out with out my lead, on my own....That was a huge occasion and I felt really proud of myself, I know my foster mum was. Then I learned to play, OMG my life was turning around and now I run in and out of the house being silly and I'm not scared of that at all. 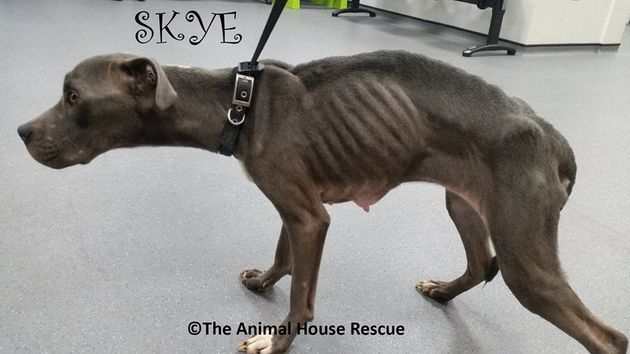 I have come a long way in the weeks I have been here in the rescue and now its time for me to make way for another soul to be saved. I am good with kids although as I'm a big girl (coughs) I might knock a small one over whilst playing so kids over ten only. I get on OK with dogs too but would need to be an only furkid in the home as I like all the attention. Guess what! I have cracked my toilet training too YAYYY, I love my walks but I am still nervous of street signs, and cars going past but I do walk well on a lead. I travel in the car but don't really like it at all and I have to be picked up to be put in...its not the car , its the movement urgh it makes my tummy go all wobbly and I go flat to hug the floor, but I'm working on it. I have learned what love is all about and I think I'm a lap dog lol so you had better have strong legs and strong arms for hugs, and not mind very wet noses. I will go in my crate for comfort and chill there but I need someone around most of the time but can be left for short periods. 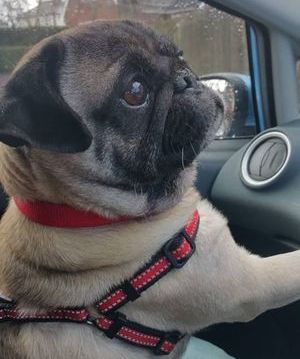 I do make a funny noise when I'm running and it sounds like I'm growling but I'm not, its typical brachycephalic dog syndrome although it it doesn't affect me at all and a scrolling of the third eye lid which makes me look like I have a cherry eye but I don't and I don't need it sorted as it would be purely cosmetic and would put me under anaesthetic for no reason. I can guard my food so sensible precautions when I'm being fed is a must.